Dress Sery up for a unique catwalk event! 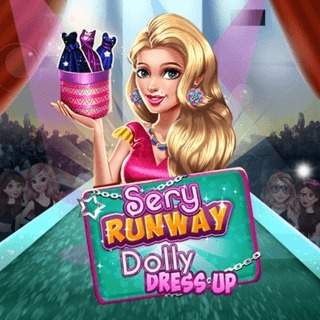 Select one of the mysterious boxes and create an extravagant look for the adorable doll with the items available. Combine glamorous tops, bottoms, shoes and accessories and finish her outfit with a stunning hairstyle. Show your sense of style and make Sery the star of the evening!